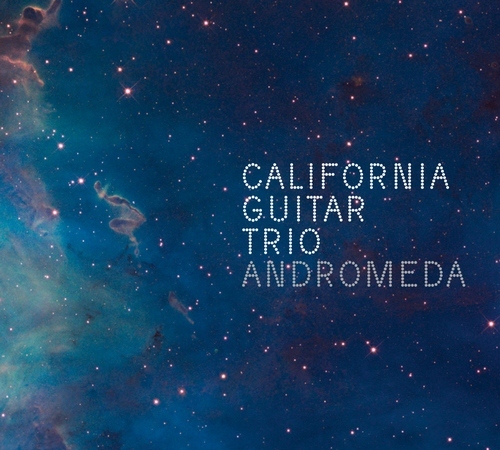 The release of Andromeda celebrates the twentieth anniversary of the California Guitar Trio. The CGT plays a unique style, with guitars weaving an intricate knotwork of interlocking parts to form a whole. Bert, Hideyo, and Paul can create music which sounds like it is performed on a kind of "super-piano" and at other times unfolds an ethereal, otherworldly psychedelia. Their music is both adventurous and listener-friendly. Andromeda is the first CGT release of entirely original material. Guests on the album include Tony Levin, Julie Slick, Eric Slick, Tom Griesgraber, Tyler Trotter and more. Award winning artwork by Pablo Mandel. High quality digital download included.